I do my hair like this all the time. 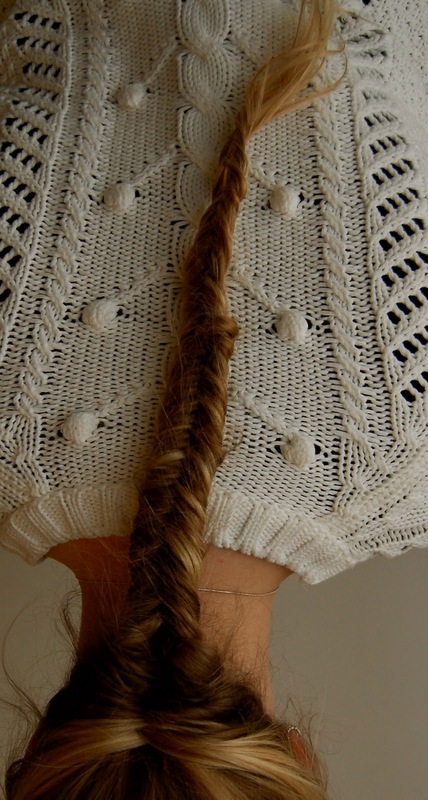 Ohh great fishytail.. Love that! I just gave you the Versatile Blogger Award! LOVE your blog!!! All the details are on my blog. 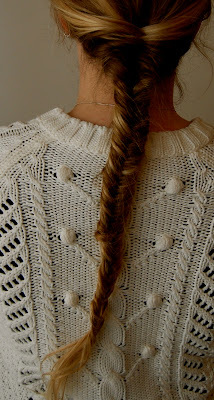 I really love fishtail! So cool! god i wish i can fishtail my hair ! yours look really lovellyy ! Thanks for stopping by my blog. And I really appreciate the comment! I love fishtail braids but I can't ever seem to do it on myself. It is such a pretty alternative to the ponytail and it looks great with a hat. Come visit me again soon and we can follow each other. love this! wish i could do it with my hair! i love these fishtails...so hard to do it yourself, though!